Click the button below to add the SoundOff Aftershock Low-Frequency Siren System 100W to your wish list. Aftershock, SoundOff Signal’s 1st low-frequency siren system for emergency vehicles! Ideal for high traffic areas and busy intersections, Aftershock is available with one or two speakers to meet your specific needs. 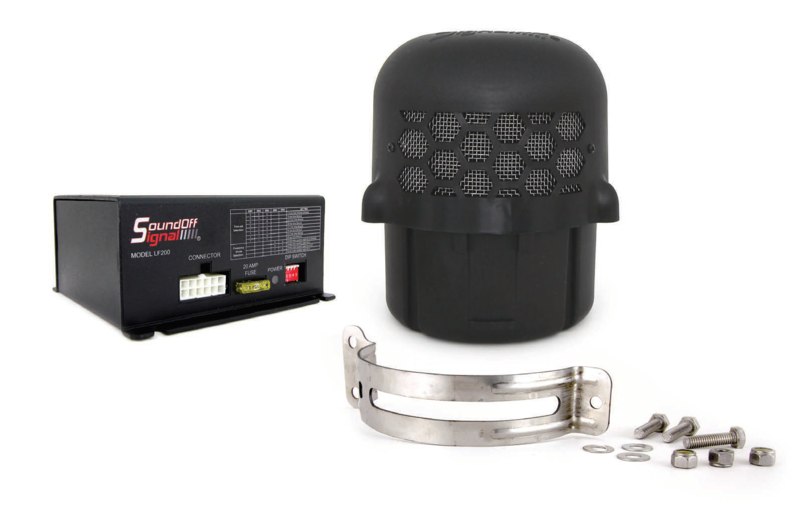 The Aftershock system includes the low-frequency siren speaker with universal bracket as well as a low-frequency amplifier. A 100 watt system includes the low-frequency amplifier and one low-frequency speaker.